BATESVILLE, Miss. 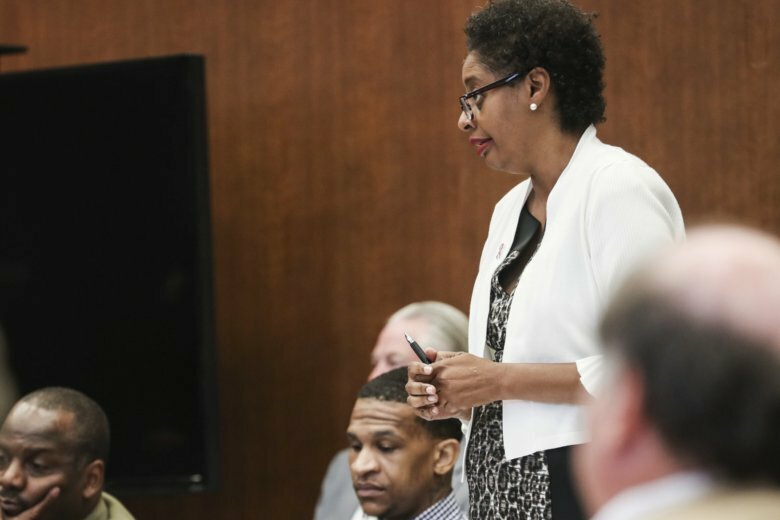 (AP) — The prosecution rested its case Saturday in the retrial of a man who is accused of burning a Mississippi woman alive in 2014. U.S. Department of Justice Analyst Paul Rowlett testified for hours as an expert witness in the field of intelligence analysis. He outlined for the jury how he used cellphone records to piece together the movements of 29-year-old defendant Quinton Tellis and the 19-year-old victim, Jessica Chambers, on the night she died. Rowlett said he received location data from several cellphones that showed Tellis was with Chambers the evening of her death, contradicting his previous claims, The Clarion Ledger reported . When data showed his cellphone was with Chambers’ during the time he said he was with his friend Michael Sanford, police went to talk to Sanford. Sanford took the stand Saturday and testified that he wasn’t in town that day. Another inconsistency was that Tellis said he had known Chambers for about two weeks when she died. Cellphone records indicated they’d only known each other for a week. Rowlett said that sometime after Chambers’ death, Tellis deleted Chambers’ texts, calls and contact information from his phone. “He erased her from his life,” Hale said. The defense is scheduled to begin its closing arguments Sunday. The judge said he expected the trial to go to the jury later that day.